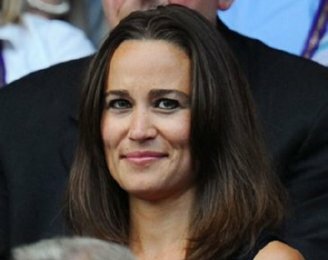 Pippa Middleton was spotted smiling with George Percy at the 2011 Wimbledon Championships on Friday. The 27-year-old party planner was wearing a sleeveless back number, oversized shades and her brunette locks uncharacteristically parted down the middle while watching Jo-Wilfried Tsonga take on Novak Djokovic. Pippa previously appeared there with on-off love, cricketer Alex Loudon.